Nothing spectacular happened to make me overcome this anxiety. I stayed rooted to the tile in the bathroom. I stopped thinking about all the to-dos on my list. I shut my brain off from worrying about all the things in my new house that need fixing. I told myself it didn’t matter that it was nearly Rory’s nap time. I thought about what I needed in that moment. I paid attention to what my body needed. I wanted to sweat, breathe, think, and focus so I could find myself again. I slathered on some sunblock, got dressed, grabbed water and snacks for my kid, and we headed outside for exercise. I turned on a podcast and just started pushing that stroller and walking. I knew the moment I exhaled and inhaled deeply that I was doing some much needed self-care. I don’t usually think of my walks as self-care, but today it was. I had a long list of things to do and instead I opted to take care of me above all else. As I crossed the street, I remember thinking, you are here. I am not asking for magic to solve my problems. I am not looking to unburden myself from my to-dos. It’s natural to lose perspective when we’re under a lot of stress. When you’re in it, your head is down, and you’re laser-focused on achieving the end goal. We just have to remember to look up every once in a while, step back, and look at the big picture. I may be mixing metaphors here, but the sentiment is the same—I want you to know that you’re doing great. 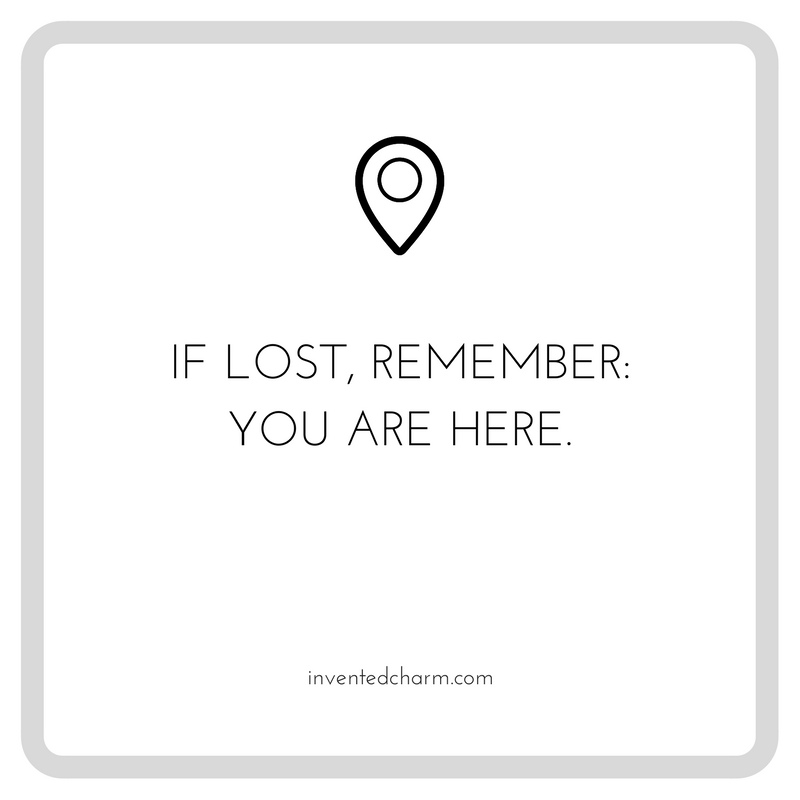 You’re not lost, you are here. So true and so beautifully put. Thank you. Also very excited for you and your family! Yay! Congratulations! Let us know how the escrow goes.